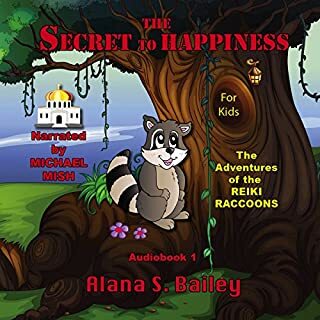 The Adventures of the Reiki Raccoons are a series of books about twin raccoons, Rachelle and Rocky. Their curiosity and good intentions take them on adventures that teach them about positive energy. When the longest-living member of their village, Grandma Olive, asks them for their help, they find themselves on an adventure they had dreamed of all of their lives. If you could sum up The Secret to Happiness in three words, what would they be? Just want to say that this is a good story...... not just for kids....but it would make a good bedtime story.